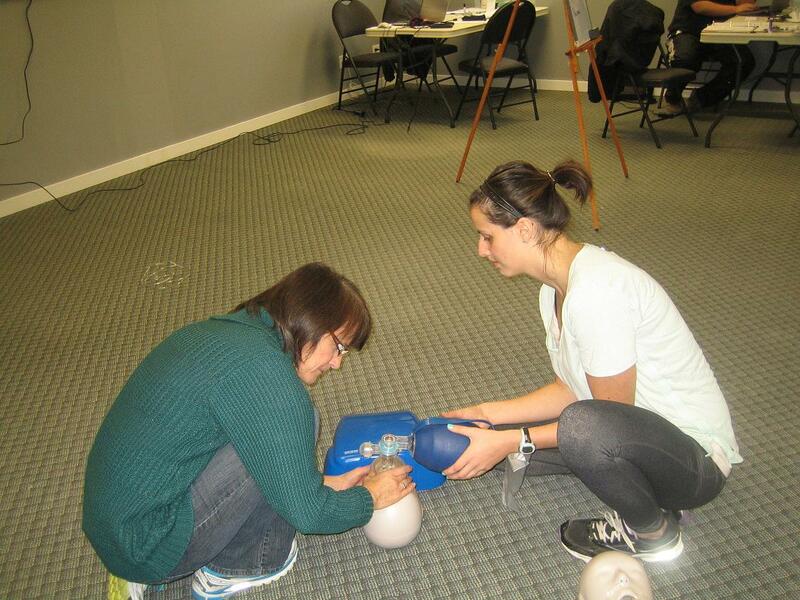 Lethbridge First Aid is one of the most popular St Mark James training providers in Alberta. It is an affiliate of St Mark James and offers the cheapest certification programs for cardiopulmonary resuscitation (CPR) and first aid. Participants can register for a variety of St Mark James Canadian CPR courses in Lethbridge including stand-alone CPR level “A”, “C” and “HCP”. These CPR level’s can also be partnered with one-day first aid classes (emergency first aid) or two-day first aid classes (standard first aid). You’re sure to get the certification you need with Lethbridge First Aid as they offer almost every popular training program. To register for a Canadian CPR course in Lethbridge use the contact details below or scroll to the bottom of the page and complete the on-line registration form. CPR training programs are focused on training students to perform CPR and automated external defibrillation (AED) in the vent of a cardiovascular emergency such as a heart attack. Other injuries such as heavy bleeding and choking are also topics that are covered by the classes. CPR programs have three levels, each corresponding to a victim age group and target audience. There are three categories for special stand-alone CPR classes. A, C, and HCP all teach students how to perform CPR on adult victims while C and HCP teach students childcare or infant/toddler CPR. Can I hire private instructors? Lethbridge First Aid also offers private instructors with hourly rates. You can book them for training at home or special training for company events like conferences. Just send an e-mail or give a call to inquire about booking private instructors. All instructors and trainers at Lethbridge First Aid are certified by St Mark James. St Mark James certificate cards are given to all trainees who pass the class. To pass the training class, the student must have 100%attendance, 75 percent and higher on the exam, and adequate demonstration of skills. A wall-mount sized certificate is optional. The certificates are only valid for three years but re-certification classes are available at least twice a week (approximately 4 hours long for CPR C and HCP). How much will I spend on training? Rates offered by Lethbridge First Aid are the cheapest in the area. They include taxes, certification fees, and St Mark James training manuals. You don’t have to worry about additional expenses beyond the enrolment fees. Full refunds are given to students who drop out, provided a 72-hour notice was done beforehand. Start your training with the short lesson below. Nosebleeds: when to see a doctor?